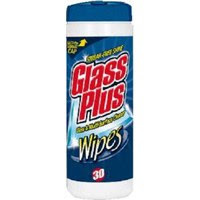 Glass Plus Glass Cleaner Spray 32 oz. is currently on sale for $1.25 and Glass Plus Pre Moistened Glass Cleaner Wipes 30 count are on sale for $1.50. Pair each of these with the $1.00 off 1 coupon found here or use the $0.50-$1.00 off 1 coupon from the 8/23 SS. This means you can snag the spray for only $0.25 or the wipes for only $0.50. My full list of commissary deals for the next 2 weeks should be posted by the end of the day.